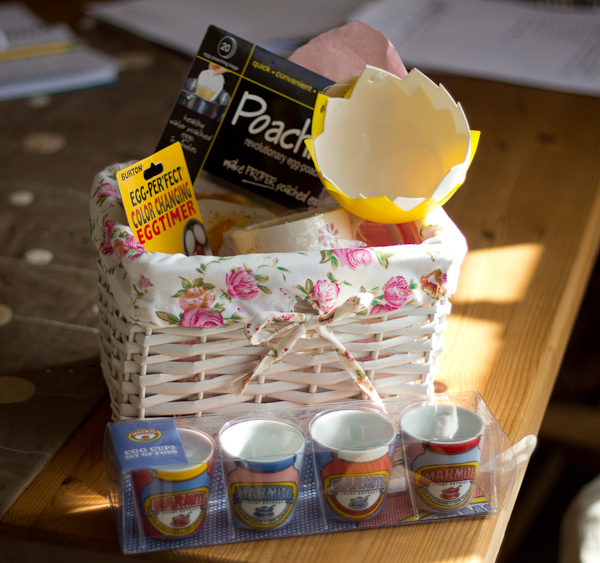 Over the Easter weekend the lovely people at John Lewis kindly sent me an Easter goodie basket filled with lots of egg related items. 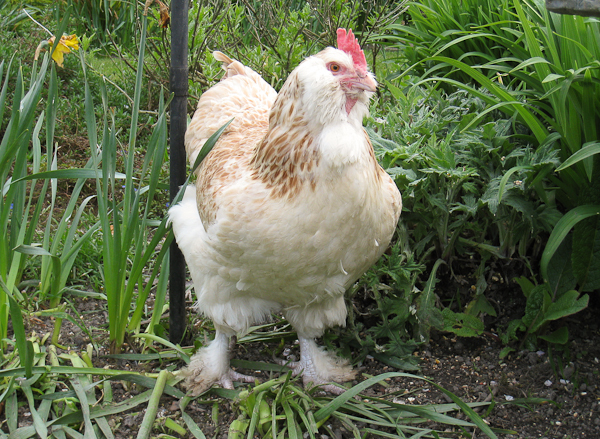 We keep our own chickens, so I thought this would be a good opportunity to use some our ladies’ eggs and give you a quick review of a couple of the items. Firstly, I’m not a big fan of eggs. I don’t mind egg in things (cakes, quiches, Yorkshire puddings etc.) but I don’t like them on their own. 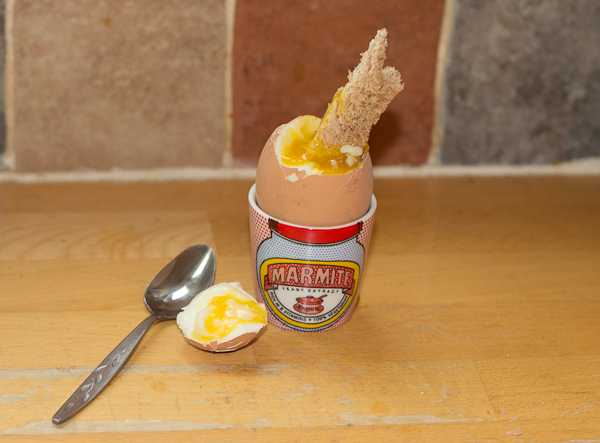 My wife on the other hand is a massive egg fan and will often have a smelly egg sandwich! There, I’ve said it! As I don’t like eggs, I’ve never had the need to boil one. However, this also means that I’ve never made my wife a boiled egg for breakfast. So, the first item in my goodie bag could be just what I need – an Egg-Perfect color changing egg timer (No, I didn’t spell colour wrong…). This is a small egg shaped device that you sit in with your boiling eggs and a coloured disk gets smaller and smaller. There are indicator marks for soft, medium and hard boiled. Following the instructions, I put 5 eggs into a pan of water with the device and turned up the heat. After a while the water started to boil and the red indicator started to shrink, revealing a black black border. This threw up a slight problem with the device, it’s really hard to look through boiling water and judge where the indicator is in relation to the lines – I had to keep lifting it up with a spoon to check it. 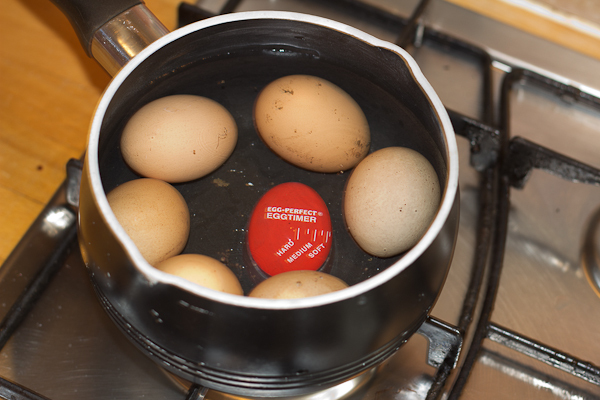 After about 8 minutes, the indicator had reached the “Soft” mark so I removed one of the eggs and continued boiling the rest. 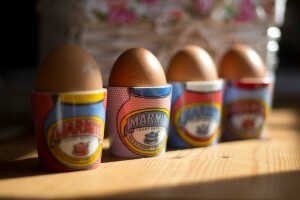 To check out my first ever soft boiled egg, I used another of the items in my gift basket, a set of 4 Marmite egg cups. 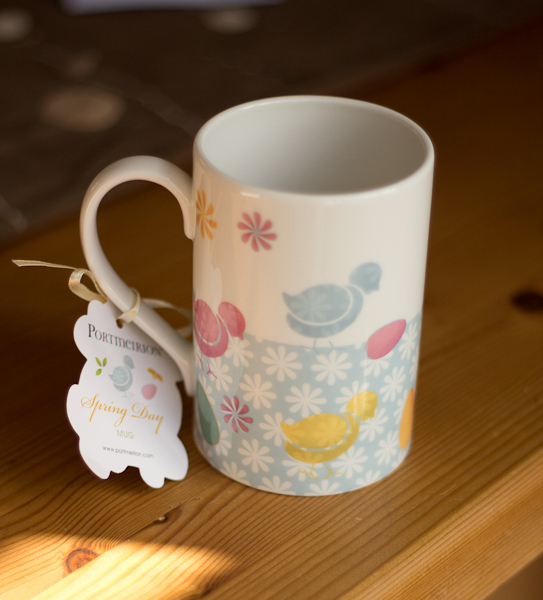 These are fine porcelain egg cups and were designed by Joanna Burdett, a post-graduate textiles student of the Royal Collage of Art. They are really nicely designed and would make excellent present for the Marmite lover in your life (or, if you are feeling mischievous, a Marmite hater … ). 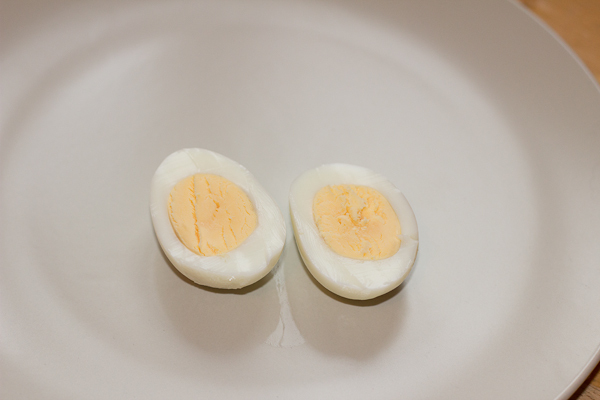 I got my wife to chop the top off the soft boiled egg and try out the results. The verdict… pretty good, but slightly over cooked. Not bad for a first attempt and certainly better then me trying to guess how long it would take. With a bit of practice, you would work out precisely how big the red indicator should be for eggs exactly how you like them. A few minutes later, the indicator reached the hard boiled mark so I removed the pan and cooled the eggs with cold water. I took one of the eggs out, peeled it and cut in half. Again, I asked for an expert opinion and the result was “perfect”. Even to my untrained eye I could see it was perfectly cooked, no grey around the edge, just a lovely yellow. 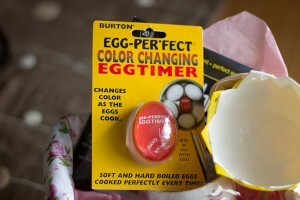 I would definitely recommend this device to a a novice egg boiler or someone who has trouble boiling eggs. 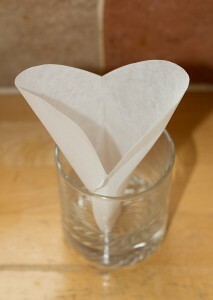 I got another pan of water boiling and then put a Poachie bag and placed it into a glass. I broke the egg into the bag and then immediately dropped the bag into the boiling pan. 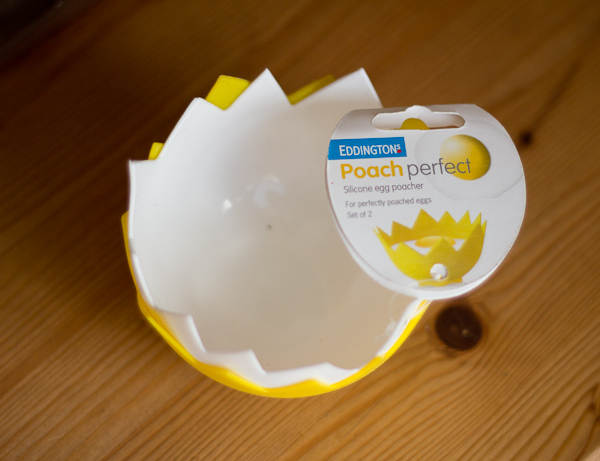 The instructions stress that you need to quickly get the bag into the water – this is because the egg starts to leak a little through the bag. I set the timer for 6 minutes as instructed and waited patiently. As the egg cooked, there was some foam and egg white in the water but this is normal. 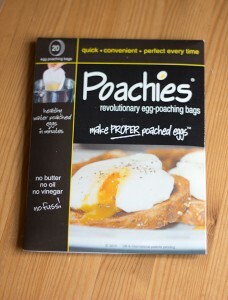 When the time was up, I took the bag out, let it drain for a minute and then emptied the poached egg onto a bit of toast. My expert was brought in again and first impressions were good. It was nicely cooked on the outside and when you broke open the egg, the bright yellow yolk oozed out. 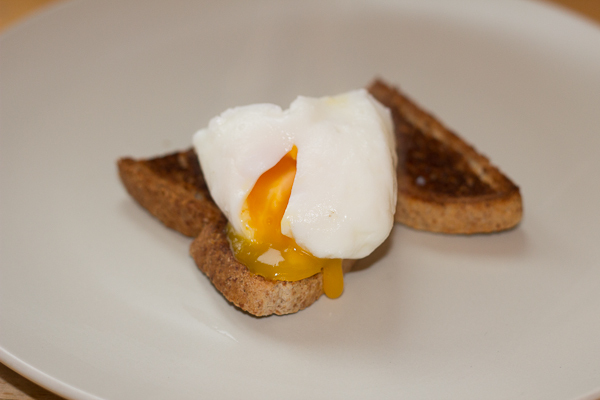 On closer inspection, it turned out that it was a bit over done, with some of the outer yolk a bit too solid. However, it wasn’t a bad result for my first ever poached egg. I think in future you would need to vary the time a little depending on how powerful your hob is and how you like your poached eggs. If you can’t get to grips with the traditional “add vinegar and swirl the water around” technique, then these could be just what you need. If you don’t fancy using the bags, I also got a set of 2 Poach perfect silicone egg poachers. These work by breaking an egg into the poacher, placing it in the bottom of a pan and then adding a small amount of water to the pan. 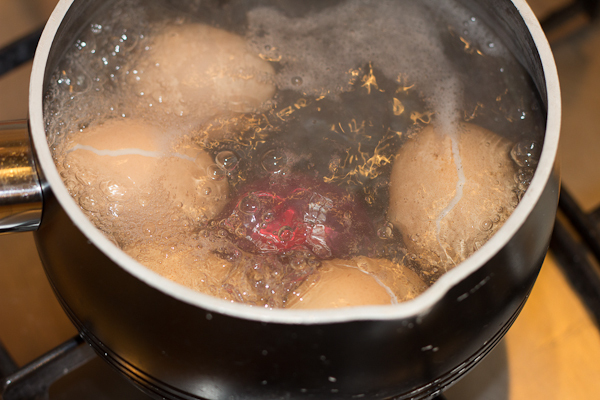 Once the water is simmering, put the lid on the pan and wait 4 to 6 minutes until the egg is how you like it. 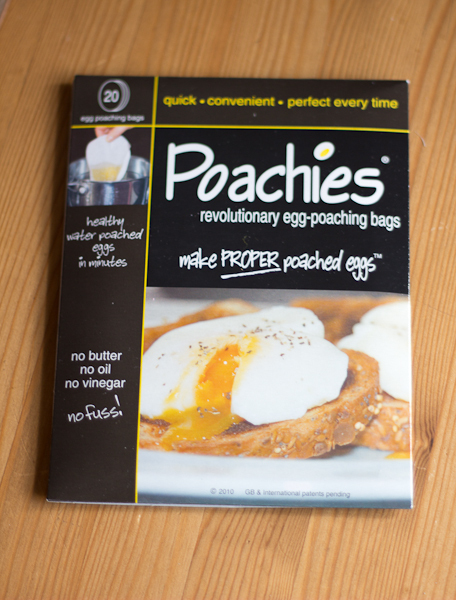 Unfortunately I haven’t had time to try this poacher out but they look like they will do the job and have the advantage over the bags that they are reusable. You could also use them for other things like deserts, ice-creams etc. Finally, I’d like to thank John Lewis for being kind enough to send me the gift basket for me to enjoy. This entry was posted on Tuesday, April 9th, 2013 at 10:01 amand is filed under . You can follow any responses to this entry through the RSS 2.0 feed. You can skip to the end and leave a response. Pinging is currently not allowed.